Leven Garage Doors offers a fast emergency call-out service for garage door repairs Hull and the East Yorkshire area. Our engineers are on hand to respond to commercial and domestic repairs. Whether you’re looking to repair a panel, spring or locking mechanism, our experienced professionals have the knowledge, skills and tools required to tackle almost any problem. This includes issues with electronic garage doors. With competitive prices and a fully guaranteed service, you will be in safe hands with us. 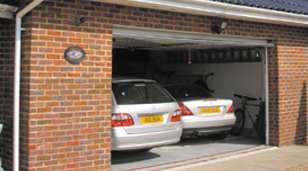 We handle everything from steel, timber, fibreglass and cedar, through to uPVC garage doors.